Jetcraft hit 100 aircraft sales for the first time last year as it continued to grow in 2018 and into 2019. Expansion came mainly in the booming U.S. market, but Asia also played a pivotal role. David Dixon, president of Jetcraft Asia (Chalet 8), said 2018 was “the best year ever for the [Asia-Pacific] region, partly because of aircraft coming out of China and the opportunity to sell aircraft into the United States.” Because of such sales, Asia became the second-biggest market—“dominated by long-range jets,” said Dixon. It represented 20 percent for the company. Another factor Dixon has observed is that the used aircraft coming out of Asia tend to be “younger, with lower time and lower utilization,” making them very attractive to buyers. Also, he said, “China aircraft tend to be maintained under Part 125,” the same as airliners. He observed that there are a lot of new options for long-range aircraft and they’re all “really appealing to this market”—from the Gulfstream G500/600 to Bombardier 7500 and Dassault’s Falcon 8X, and upcoming 6X. “And most likely they’ll be replacing something. He added that there is also a steadily increasing level of infrastructure and support—for example, airports, FBOs and aircraft management companies, such as TAG and Jet Aviation. In respect to MRO capacity, he admitted that “Singapore is the single biggest location” but made an analogy between its relative location to China—“It’s like someone going from London to Rio for maintenance.” Meanwhile, Hong Kong has facilities, but has “a lack of space”—so any new developments on this front in Macau “may help.” Increasingly in the region, there are “plenty of options,” said Dixon, with developments in the Philippines and Kuala Lumpur as well. All this plays into making business aircraft ownership a more viable proposition for Asian buyers. 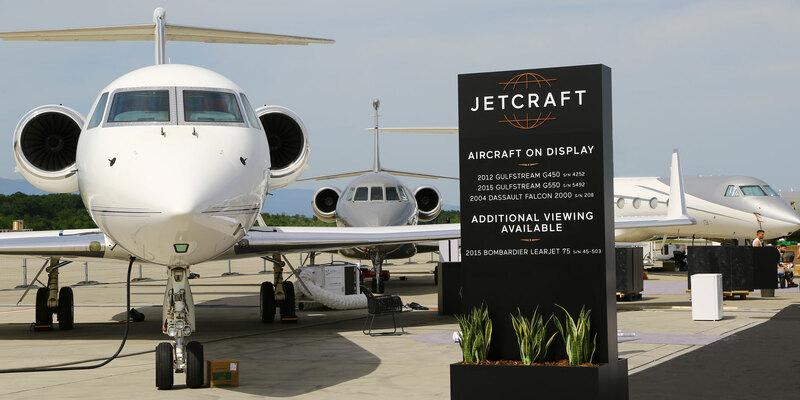 Dixon said the vast majority of Jetcraft’s clients are very wealthy individuals and they want long-range aircraft, due to the nature of their business needs. Interestingly, he said corporate flight departments are still a very rare phenomenon in the region, along with fleet operators—leaving a lot of opportunity for experienced international aircraft management companies. In addition, smaller aircraft play a far lesser role than in the U.S. and Europe, as there aren’t so many airports. While the U.S. has some 5,000 that business aviation can access, Asia has around 250. The focus is very much on flying to capital cities either from other capitals in the region, or from Europe, the Middle East and the U.S.—although Australia also has a significant presence. With China, Dixon welcomes the government’s airport-building program but says airlines will still dominate. “With my industry hat on [Dixon is vice-chairman of AsBAA], I’d rather see more mixed-use airports”—he explained, meaning airfields having a military base on one side, and civil/business aviation on the other. He admits this is controversial, but says the infrastructure is already there. Dixon said “We’re normally involved in straightforward cash deals. Beyond that, some buyers finance their aircraft” but this tends to be to raise money to grow the business elsewhere—that is, buying the aircraft in the first place in cash is not necessarily a problem. Essentially, he told AIN, “people usually start with their private banks, as that’s where the relationship is, and they don’t want to start again on disclosure requirements, etc.” He noted that sometimes clients don’t realisz that their own banks—e.g. UBS or Bank of America—have aviation departments already, and often have business aircraft finance specialists based in Asia-Pacific.